Ron built his first radio transmitter from a kit when he was 15. The signal could only be heard about 20 feet away on a good day, so Ron decided to double the signal by doubling the battery voltage. It worked for about a day before blowing up. Next was a factory assembled transmitter that was good for about 150 feet – enough to entertain the neighbors – until Ron was shown a magazine article about how to boost the signal with a special antenna and tuning circuit. Presto! Now he was up to ¼ mile! That kept him happy for about 6 months, until the bug for still more range bit him again. Next was an old “ham” transmitter purchased by mail-order. All he had to do was change the crystal to put him on the broadcast band, and…..WHAM! A 3 mile signal radius! Houston, Pennsylvania’s first and only radio station was born! WAKE Radio, in Houston lasted about a year and a half until the “real” local station about 6 miles down the road found out about it. Thankfully, instead of turning him in to the FCC, Ron was offered an announcing position with the station. It was the Summer of ’69 and Ron still had his last year of high school to finish, so he worked fulltime in the afternoons for the rest of the summer, and part-time until he was out of school. From 1970 to 1973 it was non-stop radio for Cap’t Ron, with stops in Washington, PA., Frederick, MD., Weirton, W.VA., Marion, IN., and Washington, DC. 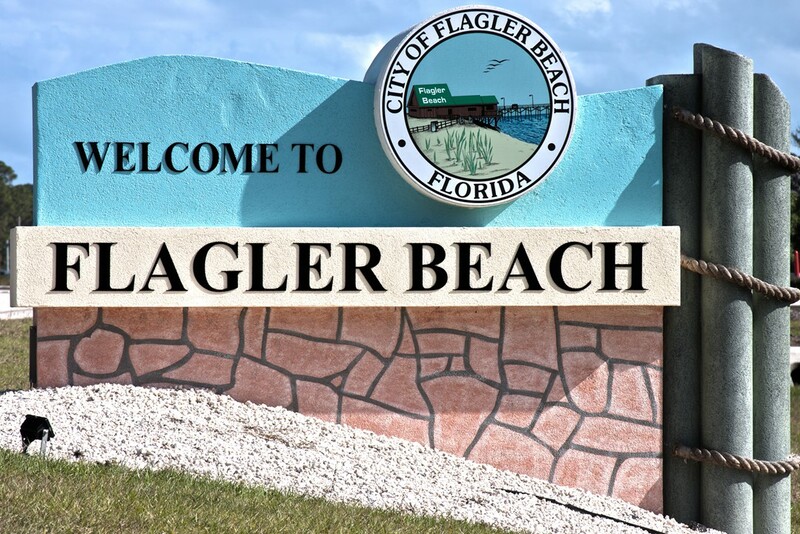 In the summer of ’73 the radio train pulled into sunny Florida, and Ron worked the next 29 years in the Orlando/Daytona Beach market. 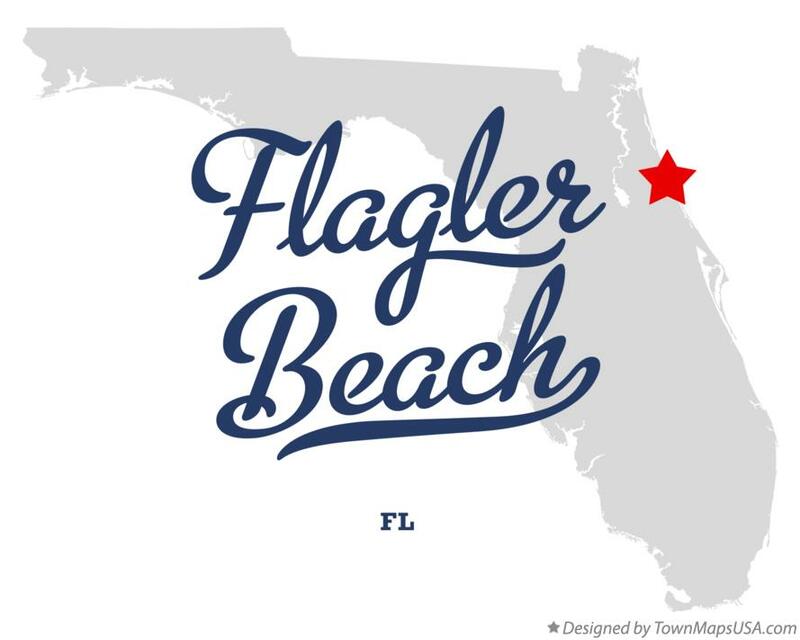 In 2002 Ron built and operated Flagler Beach’s first locally programmed radio station, “The Blizzard”. By 2008, Ron could no longer “keep the Blizzard blowing” successfully, and decided to sell out and retire. 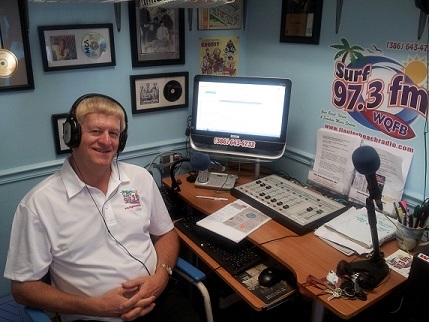 In the summer of 2014, another Flagler Beach radio station was up and running – “Surf 97.3”. Cap’t Ron asked the boss if he could come aboard and was welcomed with open arms! You see, while Cap’t Ron was running “The Blizzard”, Surfin’ Vern was working for Cap’t Ron. And now that Surfin’ Vern is running “Surf 97.3”, Cap’t Ron is working for Surfin’ Vern. Small World!